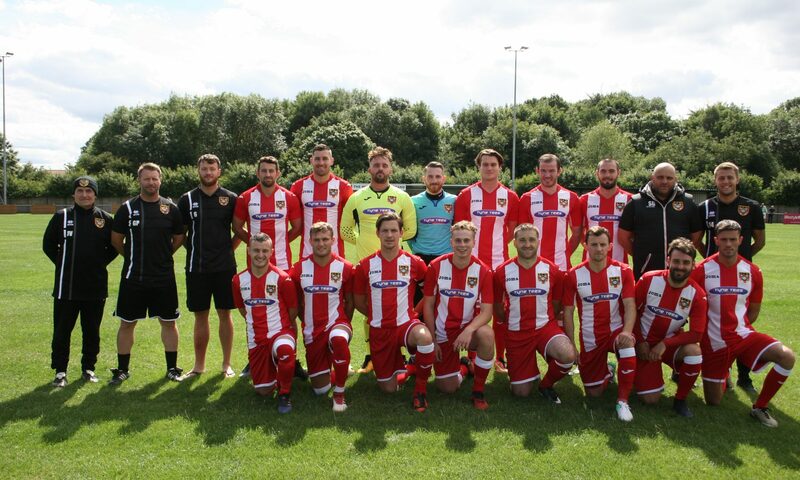 Ryhope CW displayed one of their performances of the season in beating Whitley Bay 3-1 in their Northern League encounter at Recreation Ground. Kieran Brannen gave Whitley Bay an early lead. However, two goals from Micky Rae and a goal from recent signing Jack Devlin gave Ryhope a comfortable victory. Whitley Bay took control of the first ten minutes of the match, Ryhope starting slowly. Brannen scored the opening goal for the away side, his shot from outside the box hitting the post and going in off Joe Atkinson’s back in the seventh minute. After the opening ten minutes Ryhope changed the tides of play taking over possession of the ball and having had some dangerous chances through Devlin, Rae and Matty Weirs. In the 34th minute Rae converted a corner from Skidmore into the goal scoring the equaliser with a wonderful header. The home side kept on the pressure until the referee blew the whistle for the first half. The message for Colliery Welfare was to continue as they finished the first-half, that had proved effective when Rae scored his second, a free-kick deflecting into his path in the 49th minute for the attacker to add an edge of the box strike. Just nine minutes later Devlin scored Ryhope’s third, the goal came from a free-kick that tricked the keeper finding its way just inside of the left post. Ryhope were well on top, Whitley Bay had chances towards the end that Atkinson was equal to. There was almost a disaster at the back for Ryhope in the 90th minute, a backpass finding its way past Atkinson but the Colliery Welfare defence scrambled to clear. Ryhope now head into another home game against Whitley Bay in the Northern League Cup on Tuesday.